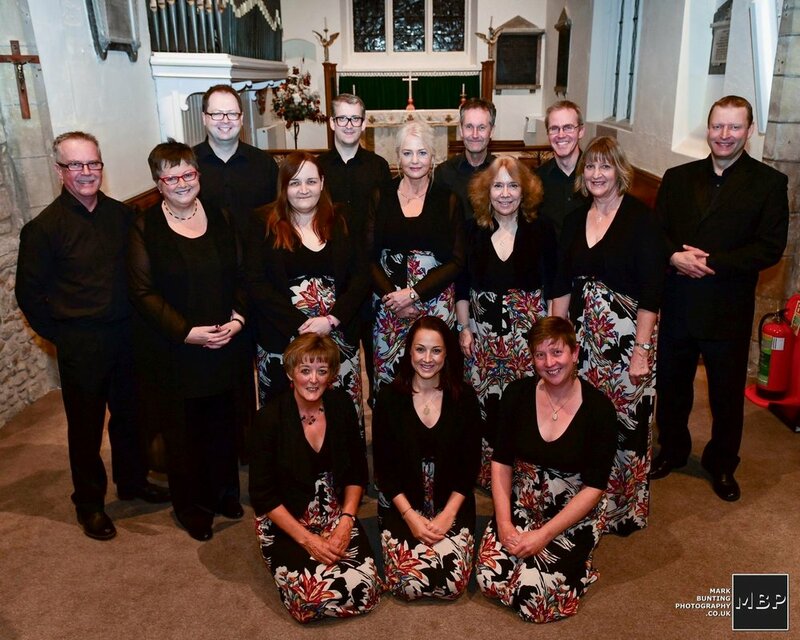 The Tapestry Singers are a mixed voice a cappella choir of sixteen singers based in Cambridgeshire; the name “Tapestry” derives from the wide variety of musical genres and the interweaving of part lines. The choir sings a wide range of secular and sacred music, from modern composers like Eric Whitacre and Patrick Hawes, right back to Tudor and Renaissance period works. Originally started as friends meeting together to sing for pleasure, the choir has grown and developed over the last twenty years into a locally renowned group who are regularly requested to perform for charity events, functions and weddings. Radio Cambridgeshire dedicated an hour of their Christmas Classical show to Tapestry in December 2018. Mostly performing in Cambridgeshire and neighbouring counties, the choir has also sung in Germany and, more recently, took part in the US Premiere of a new work by Patrick Hawes at Carnegie Hall, New York. The ethos of the choir is to be open, collective and inclusive. Recently the choir has appointed Jeremy Burrows, one of the choir’s basses, as Musical Director. The choir members are drawn from the local area and many are talented amateur musicians including an organist, 2 trumpeters, 3 trombonists, violinist & several pianists. We're proud to have raised thousands of pounds for local charities through our concerts - this year we're supporting Epilpesy Action.